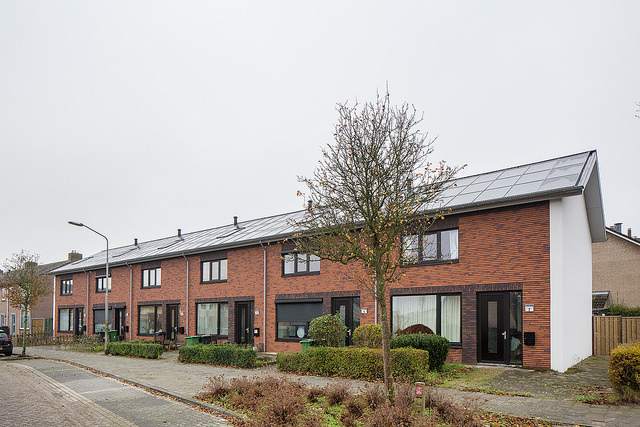 In Vlijmen, social housing association Woonveste renovated 32 houses to net zero energy with the solution provider Renolution. Woonveste choose this solution provider because they can renovate a house in three days. 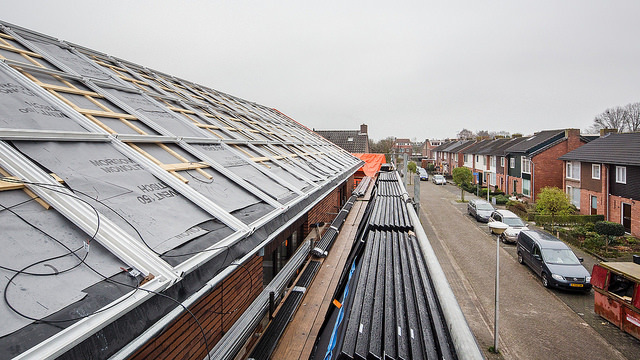 The housing association aims to retrofit its complete stock to net zero energy; this means another 1.200 houses will be retrofitted before 2028. All new build homes will be net zero energy and include the NOM Keur guarantee. 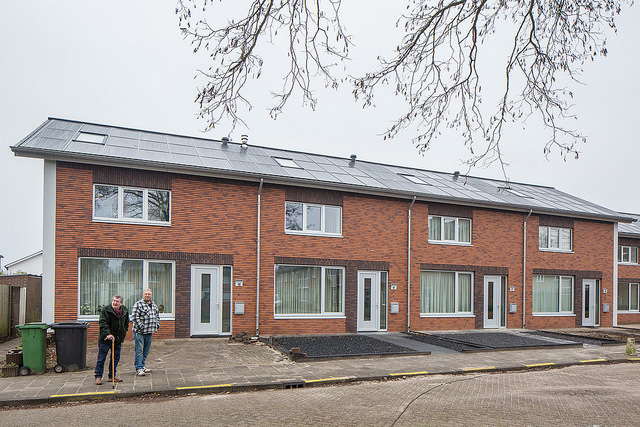 This is a quality mark for net zero energy retrofits, developed in the Netherlands. To be sure the tenants were involved there have been meetings with everyone, with a minimum of three meetings per house. The solution providers tenant’s attendant, project manager and housing association client consultant all participated in these meetings. Selina Hitipeuw, client consultant at Woonveste: “We learned a lot. One of the lessons is that attention and good and clear communication is necessary before, during and after the retrofit.” Initial tenant reactions following the renovation are very positive. They are happy with how it looks and are reporting that their homes are now say they experience that the house is nice and warm and very well insulated. Woonvaste and Renolution agreed on a 40 years term performance guarantee. This is noteworthy because it is longer than the usual 30 years. The contract means that the solution provider is responsible for maintaining the installation and its performance for the coming 40 years.